In retrospect, the 1970’s was an ideal time to be making documentaries about the Second World War. Some thirty years or so had passed since the war had come to an end, which was long enough for people to be more candid about some events and particularly (in the case of this series) for certain facts, hitherto not in the public domain, to be discussed. Several years before, Thames Television’s The World At War had covered many areas of the conflict in detail, but one omission was the role played by the code-breakers at Bletchley Park. At the time The World At War was in production this information wasn’t public knowledge, which meant that The Secret War was one of the first programmes to describe this vital part of the war. 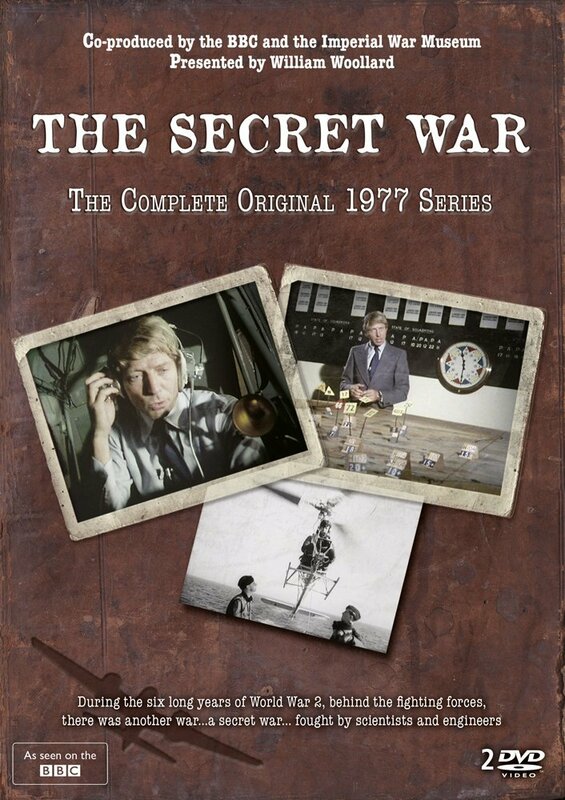 The Secret War was narrated and presented by William Woollard, a familiar face from Tomorrow’s World. It was comprised of six episodes. Episode 1 – The Battle of the Beams. Early in the war, British Intelligence became aware that the Luftwaffe were using a series of radio navigational aids to accurately pinpoint targets, even in the dark. This first episode describes these developments as well as the jamming countermeasures developed by British scientists. This episode, like several others, relies heavily on the input of R.V. Jones. Jones played a major part in the development of the jamming beams and his book Most Secret War is not only a fascinating read in its own right, it was also a useful guide for the programme-makers in the early stages of The Secret War’s production. Episode 2 – To See A Hundred Miles. This episode discusses the development of Radar as well as British Intelligence’s efforts to discover German developments in the same field. R.V. Jones appears again, as does Albert Speer – Hitler’s Minister of Armaments. Another key interviewee is Arnold Wilkins, co-creator of Radar. The presence of pioneers such as Wilkins is certainly one of The Secret War’s main strengths. Episode 3 – Terror Weapons. The creation of Hitler’s vengeance weapons – the V1 and V2 – and the countermeasures taken to combat them. Interviewees here include Duncan Sandys (Chairman of the War Cabinet Committee responsible for defence against flying bombs and rockets) and Raymond Baxter, Woolard’s Tomorrow’s World colleague, who describes his exploits as a spitfire pilot and his unsuccessful attempt to shoot down a V2 rocket. Episode 4 – If. This episode describes numerous inventions that never came to pass. These include the Messerschmitt Me 321, a large cargo and troop aircraft which was intended for use in the German invasion of Britain – codenamed Operation Sealion. Also discussed are German bouncing bombs. As well as further input from R.V. Jones and Albert Speer, also interviewed were Frank Whittle (creator of the turbojet engine) and Hanna Reitsch. 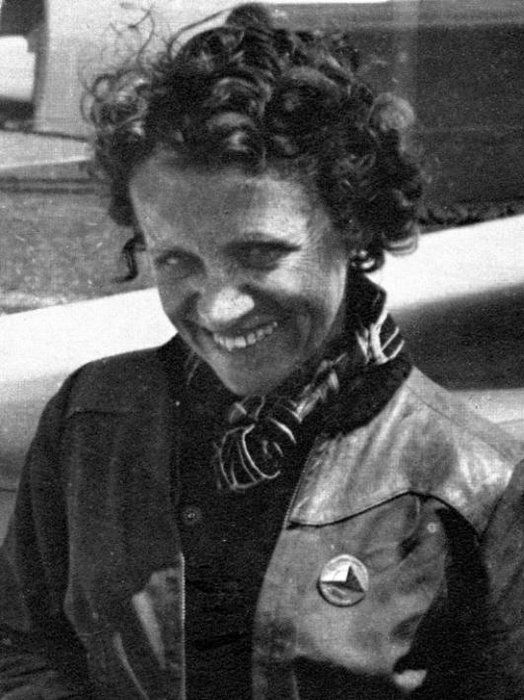 Reitsch was a German test pilot and the only woman to be award the Iron Cross First Class. As might be expected, her unique status makes her a fascinating interviewee. Episode 5 – The Deadly Waves. Episode 5 looks at the hazards of magnetic mines and the methods used to counteract them, including degaussing. Lt Cdr John Ouvry, who defused a German mine on the shoreline at Shoeburyness is interviewed and this actual mine is used in the programme to re-enact the event. Episode 6 – Still Secret. As previously mentioned, when The Secret War was in production the first information about the code-breakers at Bletchley Park began to emerge. So whilst this programme is far from complete (as much more information would emerge in the decades to come) it’s still a very interesting watch. Discussed are the efforts to break the Enigma Code and the role played by the Colossus computer, designed by T.H. Flowers. 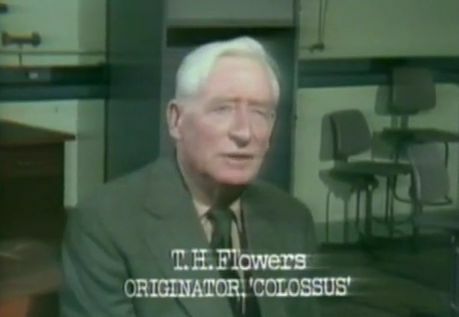 In 1977 the Colossus was still on the secret list, so details are fairly sparse, but the programme benefits enormously from an interview with Flowers. And there are also valuable contributions from others present at Bletchley Park during WW2 such as Gordon Welchman, Harry Golombek and Peter Calvocoressi. Whilst there are numerous WW2 documentaries available, The Secret War is noteworthy for several reasons. The interviews with key pioneers on both sides is a major plus as is the wartime footage, some of which had not been widely seen until this programme. The series was produced in association with The Imperial War Museum, so the programme-makers were able to make full use of their archives to locate interesting material. And finally, the series helps to tell some of the less familiar stories of the Second World War. Whilst the key battles and individual acts of heroism were already well known, The Secret War was able to explain that some of the real breakthrough moments of the war came not at the front, but in laboratories, far away from the fighting. This is a first class documentary series and hopefully Simply will delve in to the archives again to unearth similar treasures. The stature and enduring appeal of The World At War makes it an ideal programme to merit an entry in the BFI’s Film & TV Classics series. Each book offers a concise, well-written overview of its subject as although Downing’s book is only 180 pages, it manages quite effectively to describe the factors that enabled Thames Television to undertake what was an expensive, time-consuming and potentially very risky programme. When The World At War entered production in 1971, there hadn’t been a major British television documentary series produced about WW2. The BBC had been mulling over various ideas for some time but hadn’t made any firm commitments. And Paul Fox, the then controller of BBC1, was of the opinion that since the BBC had only recently launched colour television, a lengthy documentary series featuring mainly black and white footage wouldn’t be a good idea. 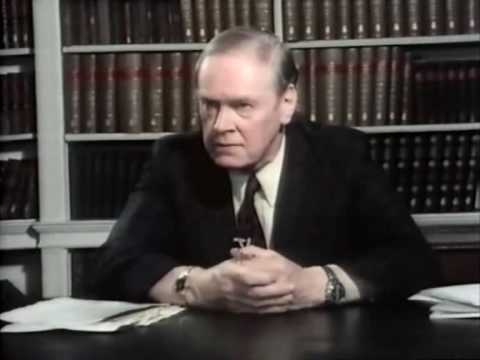 Over at Thames, there was more interest in the idea and the return to power of the Conservatives in 1970 was a key factor in kick-starting the production of The World At War. Under the previous Labour government, all the ITV companies were required to pay a hefty Levy to the government for the privilege of operating an independent television licence. The Conservatives substantially reduced the amount of the Levy, which immediately freed up substantial funds which could be put into new programming. Jeremy Isaacs, an experienced programme-maker at both the BBC and ITV, knew that the reduction of the Levy meant that the time was right to make the series. The speed at which it was green-lit was remarkable and it’s impossible to imagine a similar scenario happening today. Within twenty-four hours the Managing Director of Thames, Howard Thomas, had agreed and the wheels started to move. In retrospect this was a big risk, as the Thames board hadn’t been consulted and neither had the other ITV regions. At this time, the dozen or so ITV regions all had to agree to network their programmes, so if the other regions had decided not to take The World At War then it would have been a major blow. Twenty-six prime-time slots devoted to a WW2 documentary was a substantial undertaking, but Thames were happy to leave thoughts such as scheduling to a later date. The first thing that Isaacs needed was to get a major figure onboard as a historical consultant. Dr Noble Frankland, Director of the Imperial War Museum was an obvious choice, but he had not enjoyed the experience of working with the BBC a decade earlier on their WW1 series The Great War. Frankland felt that on far too many occasions The Great War had used archive footage incorrectly by failing to distinguish when it had been reconstructed or faked. He was heartened to learn that Isaacs shared his desire to be rigorous with the use of archive footage and happily agreed to work as the consultant on the series. Taylor Downing deftly examines the various production processes that over the course of the next three years were responsible for bringing the twenty-six episodes into existence. Several different directors worked on individual programmes and they all brought something different to the subjects tackled. The availability of footage and interviewees also affected each episode, so that some featured only scant footage and relied heavily on eyewitness testimony and vice-versa. Downing also discusses the role played by composer Carl Davis and narrator Laurence Olivier. Olivier and Davis contributed to all twenty-six episodes and so they helped to give a unity to the overall series. The inclusion of a major figure like Olivier was deemed essential by Thames’ management, and was somewhat against the wishes of Isaacs, and Downing feels that his mannered delivery is something that now dates the series. I’d disagree with this as Olivier’s narration, for me, tends to always be spot on – and his narration is only used sparsely, as generally either the pictures or the eye witnesses are used to tell the story. Also examined by Downing is the style of documentary that The World At War was and its enduring legacy. Whilst, he concedes, it was out of date almost as soon as it was first broadcast (the revelations of the code-breakers at Bletchley Park, for example, came to light just too late to be used) the programme’s main themes and its use of first-hand testimonies means that it remains a series that is still able to resonate with audiences today. Episode 20, Genocide, which documents the terrible events of the Holocaust, is just as uncomfortable to watch today as it was forty years ago, but the impact of both the footage and the eye-witnesses from both sides remain undimmed. Many episodes of The World At War are outstanding, but surely none more so than this one. 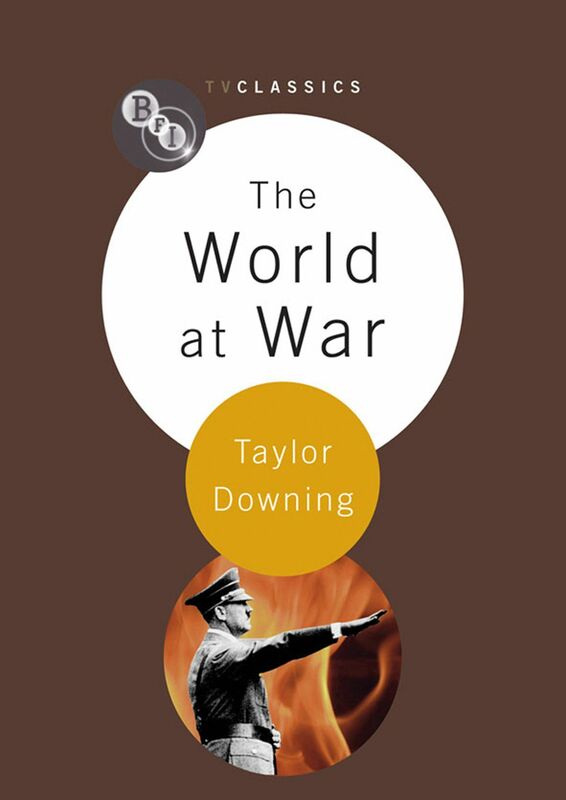 Downing concedes that the series isn’t perfect, as although it presented a more global picture of the war than had previously been seen, there are still omissions – China and Poland, for example, are barely mentioned. Overall, Downing’s book provides the reader with a clear overview and is the perfect companion to this landmark British documentary series. The Secret War, a six part WW2 documentary made by the BBC in association with the Imperial War Museum, is due for release in September 2014 by Simply HE. Topics covered include the breaking of the Enigma code, Hitler’s terror weapons (the V1 and V2) and the development of Radar. Interviewees include Hitler’s Minister of Armaments, Albert Speer. A full DVD review can be found here.